Using an unlocked bootloader on your phone or tablet is not safe. Don't do it. Unless you want root permissions, or the ability to backup and restore your software via a custom recovery, or you want to use a ROM that didn't come with your machine. These things don't make an unlocked Android device any safer, but they are pretty good justifications for unlocking your bootloader. If you'd like to have all that unlocked cake and metaphorically eat it too, the BootUnlocker app is your friend. Today it works on the popular OnePlus One as well as the usual Nexus devices. 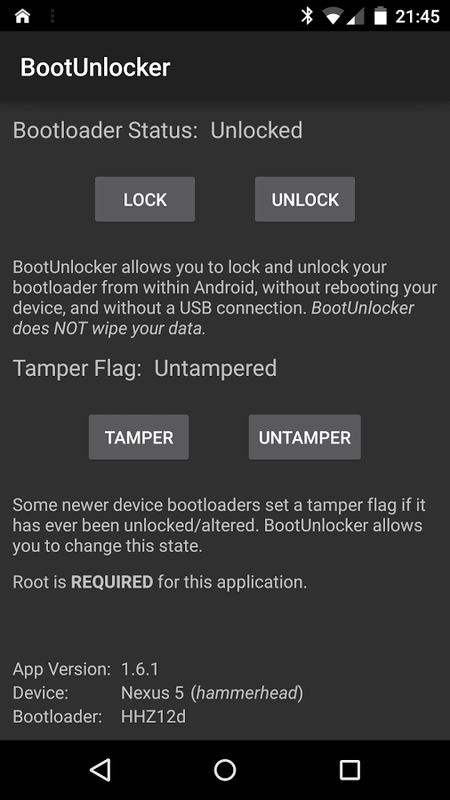 If you're unfamiliar with this simple root-enabled tool, BootUnlocker allows users to unlock or relock their phone or tablet's bootloader without the usually compulsory step of having to wipe all user data first (which happens whenever you use the familiar Fastboot command from a PC). 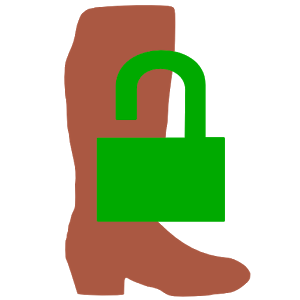 Given the nature of the app, it's exclusively for Nexus devices which require no special tools or permissions to unlock or relock the bootloader - at least until now. The OnePlus One, which runs CyanogenMod Android software out of the box and is appealingly easy to modify, is the first non-Nexus device supported by BootUnlocker. 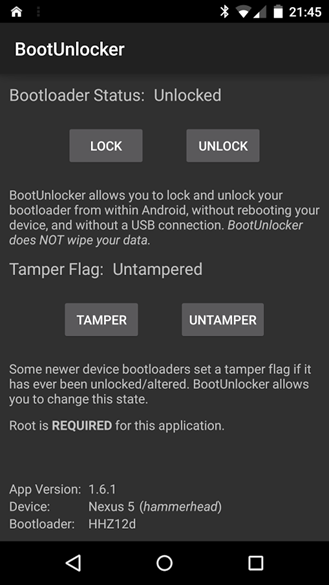 OnePlus One users need root permissions to use BootUnlocker (which isn't on by default, but is easy enough to accomplish for anyone who's ever done it before). As of version 1.6.1, it's also compatible with the Galaxy Nexus, Nexus 4, 5, and 7, Nexus 7 2013, and the Nexus 10. The newer Nexus 6 and Nexus 9 are not supported yet, but I'm sure the developer is working on it. BootUnlocker is free with no in-app purchases.